Steve Fitch: Vanishing Vernacular Please join us for Vanishing Vernacular an exhibition by represented artist Steve Fitch celebrating the release of his new monograph from George F. Thompson Publishing. An Opening and Artist Reception for Fitch will be held on Friday, March 30th corresponding with the Last Friday Art Walk in the Santa Fe Railyard Arts District. 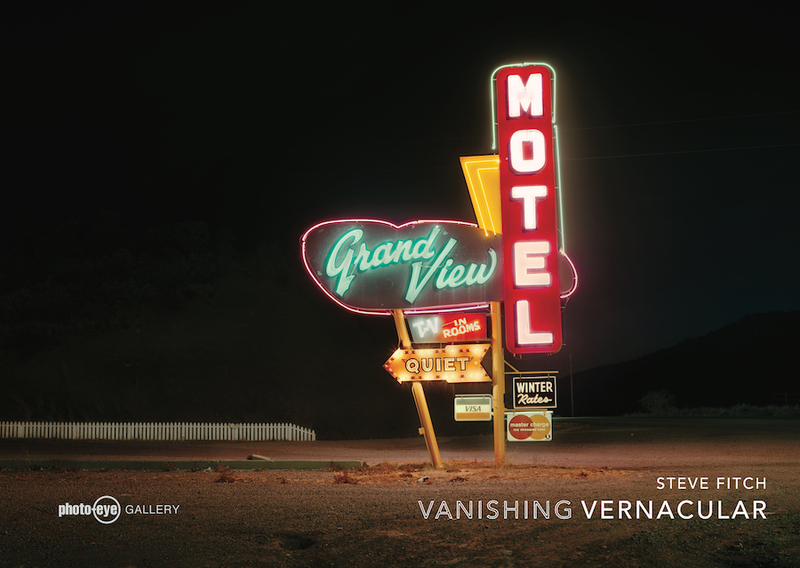 Vanishing Vernacular features a selection of color works by photographer Steve Fitch focusing primarily on the distinctive, idiosyncratic, and evolving features of the western roadside landscape including topologies of neon motel signs, drive-in movie theaters, radio towers, and ancient rock pictographs. photo-eye Gallery is also proud to display Fitch’s large-scale murals for the first time in Santa Fe. 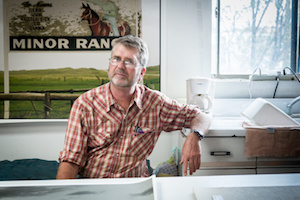 Steve Fitch in his studio.